Trucking is very different from many other industries because it requires such a high level of personal responsibility and self-reliance. Some jobs allow someone else to finish your work, or at least there are other people around that you can turn to when you have questions or need help making decisions. With trucking, it's all on you. I discussed in a previous article the need for good decision making and judgment even before one enters trucking. Those who fail to stand up and accept responsibility for their decisions do not fair well in the trucking industry. There is no one out here to hold your hand and guide you. Sure, dispatch is a phone call away, but they often can't tell you what to do if your tandems won't slide or if your brakes are locked up. The road assist departments will send you a form message about what to do, but if that doesn't work, then what? You are totally on your own, and your mistakes are yours to accept and to learn from. All of the above drivers placed the blame on someone or something else to avoid accepting responsibility for their own actions. Regardless, they were all at fault, and dispatch knew it. I guarantee each of these drivers will lose credibility with dispatch, as well as lose a little respect. We are human and are going to mess up, everyone does. Rookies are expected to hit something and be late from time to time, but they are also expected to use those experiences to better themselves. It's better for a driver to ask for a day off to catch up on sleep or get over a headache than to make up lies and excuses. Dispatchers can tell early on which drivers will improve and which ones will always seem to be the victim of circumstance. The good ones tell the truth, the bad ones just don't care. There are awesome trainers, and there are terrible trainers at every company. The attitude a driver takes and whether he accepts responsibility for his decisions is up to him, even in training. A trainer can explain something in three different languages, but if the trainee does not listen or apply the lessons, the fault lies with the trainee. If a student does not ask for additional information or practice, then the trainer might not be aware it is needed. For example, one newly upgraded driver went 300 miles in the wrong direction before dispatch called and asked where she was going. First she blamed dispatch for not contacting her earlier. When routed to the terminal , she declared, “My trainer never taught me trip planning or how to use the GPS, so it's his fault.” If this were true, all she had to do was ask before upgrading. Management responded by placing the driver with an instructor to review trip planning, time management, and use of the company provided NavGo GPS. Not only did this count as an accident, but she was held liable for a portion of the damage to the fence and landscaping as well as the tow. The driver was then placed back with a trainer for an additional 20,000 miles, but never accepted responsibility for her decisions. Once she went solo again, she chose to leave the scene of an accident which resulted in losing her CDL. But still, she claimed, “It was the cars that hit each other, and it had nothing to do with me.” The drivers of the cars, however, stated the trailer did not maintain lane control and pushed one car into another. When I heard this story, I wanted to shake her because she is well versed in social media. She looked up YouTube videos for clothing, music, and all sorts of reviews, but never once thought about searching for trip planning videos or using Google Earth to find customers. Never once did she think, “Hey, maybe I could ask someone how to use the atlas, or watch one of the hundreds of trucking videos that discusses it.” It did not interest her, so she didn't bother. She joined company driver Facebook groups, but entwined herself in drama and did not make connections with drivers she could trust for information. Now she can no longer drive a truck because she never applied herself. But still, according to her, it was never her fault. Training starts with studying for your permit and it never ends. Upgrading to a solo driver does not mean that driver will never again need to learn anything. There are tons of situations that will arise that did not occur during training. One example is having your brakes freeze and lock up. It didn't happen during training, but it sure happened when I went solo. I called the tractor shop and asked them what to do, and a few whacks of a hammer later, Clang! The brakes unlocked. Knowing who to call when situations arise is part of the job, and getting the correct answers will help you to get rolling faster and make more money. So do your homework and get the job done. One thing that really helped me was socializing with other drivers from my company—but I was selective. I stayed clear from the Terminal Rats and exchanged phone numbers with experienced drivers. Often I met teams and put in my phone who drove nights and who drove days. Only after having a dozen numbers in my phone did I leave the terminal after upgrading. I had support of drivers who could assist me at three in the morning or three in the afternoon. Road Assist and Dispatch departments are great, but experienced drivers understand and have tons of tips that can help. Most likely you will not feel like you're ready when it's time to go solo. You will be nervous and think, “Are these people crazy letting me drive out of here? I still can't back up.” We all feel this way. It's your responsibility to practice at empty truck stops when you have time. If you choose not to, that is on you. It is your choice to reach out to other drivers and even the shop mechanics to answer your questions and expand your knowledge. 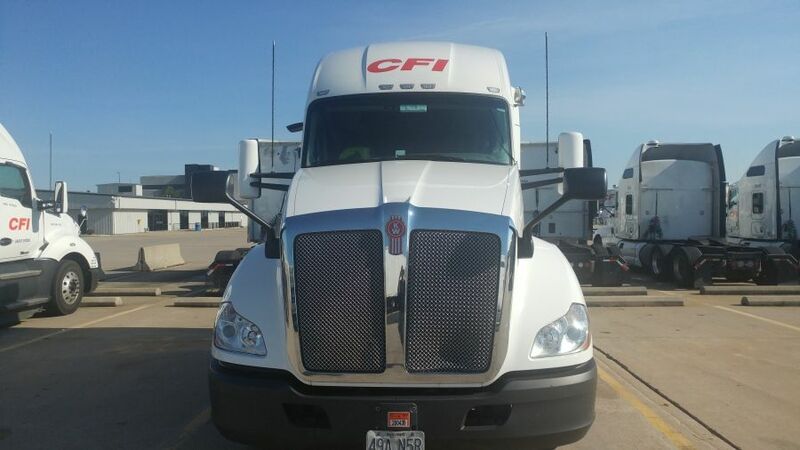 If you do not have the drive and determination to do such things, save your money, time, and frustrations by not even attempting a career in trucking. It is possible to have years worth of on-time delivery and accident free driving. Drivers do it all the time. Apply yourself, and you will excel. Blame everyone and everything around you and you won't last a year, and perhaps you may not even make it through training. Tweak your time management and trip planning skills, and research and network to get the answers you need. Admit your faults and learn from them, and years from now you will be one of those Top Tier Drivers dispatchers love.